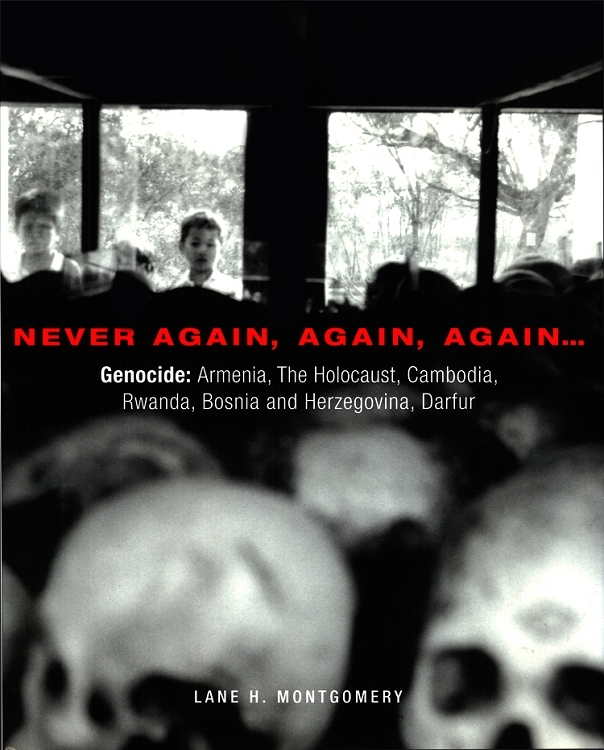 Never Again, Again, Again... is a powerful photographic essay with text on the six major genocides of the twentieth and twenty-first centuries: Armenian, Jewish, Cambodian, Rwandan, Bosnian and Darfurian. It is the first photographic publication dealing with all six genocides. The book is not just a litany of the locales, dates and death tolls, but an unforgettable view of the victims, the perpetrators and the consequences of genocide. In 1915, one and a half million Armenians were eliminated by the Ottoman Turks; in 1994, one million Rwandans were slaughtered with machetes in eight weeks; in four years, the Khmer Rouge turned Cambodian rice fields into the ash of mass graves holding almost two million souls; 7,000 civilians were murdered in Sarajevo; and after four years of bloodshed, the death toll in Darfur may have reached 300,000. The photographs are accompanied by text from scholars and leading human rights activists, as well as by excerpts from experts on the regions and from those who have experienced the horror.